Did you ever consider your basement as something more than a place for storage or your laundry room? Have you ever wanted to call basement contractors to remodel your space? Trinity Construction and Development has already thought about your basement remodeling project, and you haven't even called us yet to leverage our expertise as southern New Hampshire's leading basement contractors. The basement contractors at Trinity know how to turn a dark, under-utilized space into a basement remodeling project that will have you wondering why you didn't do it sooner. If you are like most homeowners, your basement is wasted space.so as basement contractor experts, we encourage you to finish your basement and reap the rewards-just think of resale value. .Perhaps all of the above if your basement is large enough. Concerned about basement remodeling costs? Believe it or not, the cost to finish your basement may be less than you think. Given improvements to the new basement systems now available for basement remodeling, as experienced basement contractors, we could potentially build-out your space in less than a week, saving you money and time. And the basement systems we use are produced using quality materials that are easy to maintain, and protect against mold and mildew. Just think, instead of dragging yourself to the gym, you have your own private workout room because you made the decision to hire us as your basement remodelers. Better yet, wouldn't it be great to know that your teenagers have a place to hang out with their friends, under your roof because you invested in a basement remodeling by calling on basement contractors to make it happen? 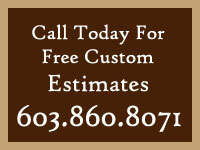 The opportunities are endless when it comes to basement finishing with the right basement contractors on your side. But nothing happens without making that first phone call to Trinity - the basement remodeling company of choice. In minutes, you'll discover all the great ways we can help you turn the neglected space in your home into a basement remodeling project that will have the neighbors jealous that they didn't think of it first. 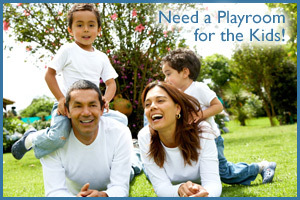 Call Today at 603.860.8071.